Hi, I am Lisa from Franklin, TN and I will be sending you updates every several days from the Vision for Chile 2010 first team! We made it! We arrived into Santiago safely and uneventfully on Sunday morning. We had a slight mix up with the bus, but eventually arrived at the Hogar ready to go…after a nap, of course. 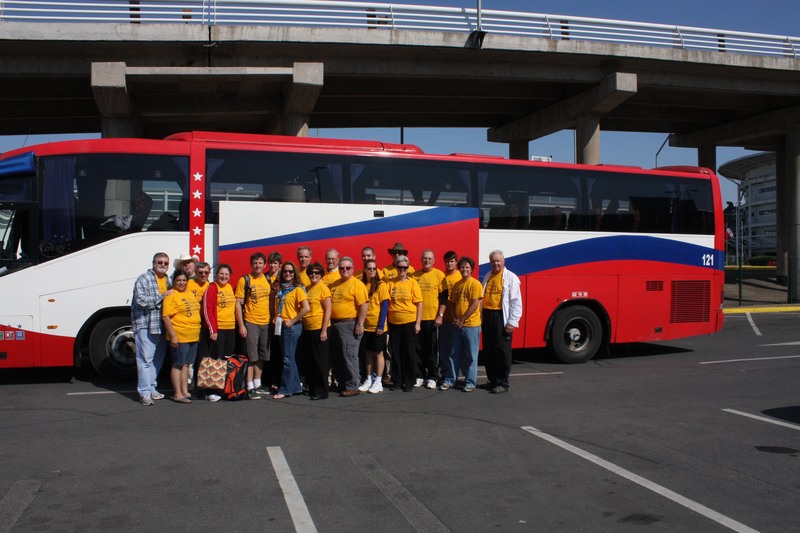 Those who had not been here prior were given a tour of the Hogar and of the House of Hope. It’s quite astounding what God has done here through Vision for Chile. We are all thrilled to be a part of it this year. We were able to have a powerful, spontaneous time of prayer over the directors during the tour. Daniel and Jessica for the House of Hope and Leonardo and Vivian over the Hogar. It is exciting to see these two young men have such pure passion for helping the girls. God has provided two godly couples as examples for the girls from early ages on through adulthood. Please pray for both couples as they minister! The finished House of Hope is beautiful! It is very welcoming and is a wonderful place for these girls to learn and grow! On Monday, we enjoyed our first time of devotions and worship together. Jessica is a beautiful singer and leads us into the presence of God angelically! It is great to seek the Lord together before a long day of labor. Speaking of labor, it is going well. After settling in, we made progress! One wall of Willie and Patty’s house is up! Bill Imes is at home as jefe (boss) and is evaluating his workers and putting them all to good use! Monday night we split up and had dinner with the girls where they live. One of us from each group gave their testimony. It was great to eat with and look into the eyes of the girls we are here to serve. They are so much like the girls their age at home. They giggle, are self-conscious, have dreams and are often surprising with their answers. It’s well worth the effort to be here to give to them. Keep praying for safety at the work site. Pray for wisdom for the leaders. Pray that we will serve one another in love and reflect the Love that brings us here. Working together for the Kingdom! Lisa Smythe – for the team!